China has breathtakingly high airports, hosting eight of the 10 highest altitude airports in the world, including the world's highest Daocheng Yading Airport 4,411m above sea level. Airport-technology.com lists the world's 10 highest altitude airports by altitude. Air China provides a single scheduled flight to Chengdu from Daocheng Airport, the highest altitude airport in the world. Image courtesy of Xinhuanet. 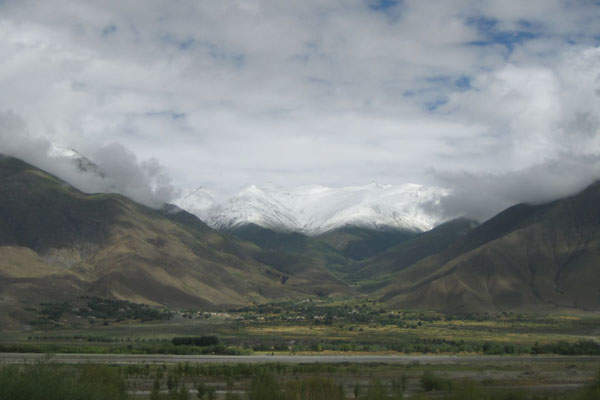 Qamdo Bamda Airport, the world's second highest altitude airport, is located in the mountainous regions of Chamdo County in Tibet. Image courtesy of 岭南浪人:怀古 (Translation - Lingnan Ronin: nostalgia). The Airbus A319-100 made test flights to Kangding Airport in October 2007. 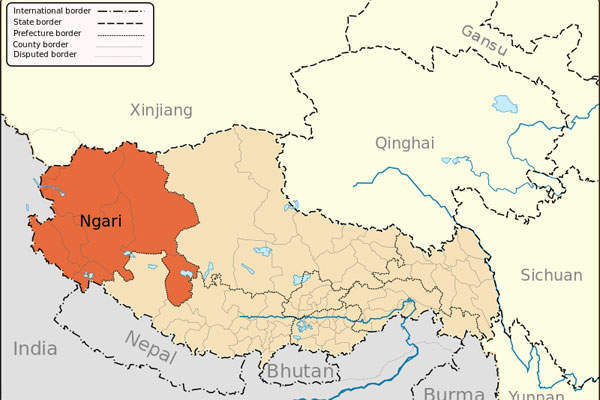 Ngari Gunsa Airport is located in the Ngari Prefecture, south-west of China's Tibet Autonomous Region near the Indian border. Image courtesy of Keithonearth. El Alto International Airport, known as Aeropuerto Internacional El Alto in Spanish, is the fifth highest altitude airport in the world. Image courtesy of Paweł Drozd, on Wiki Drozdp. 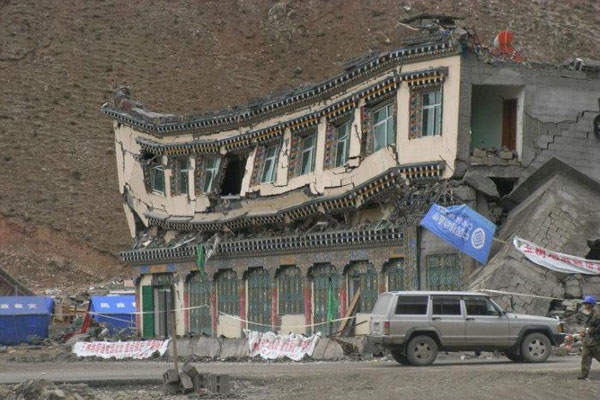 Yushu Batang Airport, the sixth highest altitude airport in the world, provided a vital lifeline to relief effort during the Yushuquake in 2010. Image courtesy of Gruschke. Inca Manco Cápac International Airport is located at an elevation of 3,826m. Shigatse Peace Airport is situated at an elevation of 3,782m in Hongdang County of Shigatse Prefecture in Tibet Autonomous Region. Image courtesy of Greg Walters. Lhasa Gonggar Airport which serves Lhasa, the capital city of the Tibet Autonomous Region, is located at an elevation of 3,570m. Image courtesy of Dennis Jarvis. Jiuzhai Huanglong Airport serves approximately 800,000 passengers per year. Image courtesy of Kounosu. Daocheng Yading Airport, which opened in September 2013, is the highest-altitude airport in the world. It is located at an elevation of 4,411m. 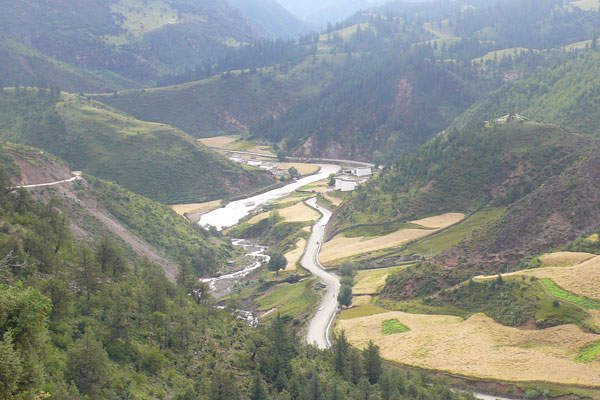 The airport serves Doacheng County in the Garzi Tibetan Autonomous Prefecture of Sichuan Province. The airport comprises of a single runway which is 4,200m long and 45m wide, and a 5,000m² terminal building. The airport is powered by six patented Resibloc dry-type transformers rated at 4,688kW, supplied by ABB. The airport was constructed with an investment of CNY1.58bn ($255m). The travel time from Daocheng to Chengdu, which formerly required a two-day bus trip, has been reduced to just one hour with the opening of the airport. The airport is expected to serve 280,000 passengers a year and flight services to Guangzhou, Shanghai and Xi’an are expected to start in 2014. Qamdo Bamda Airport, also known as Changdu Bangda Airport, is the world’s second highest-altitude commercial airport. It is located at an elevation of 4,334m, serving the town of Qamdo (Changdu) in Tibet, China. The airport features the world’s longest paved runway, measuring 5,500m long, and a terminal building. An expansion project is currently underway, which upon completion in 2015, will enable the airport to handle 180,000 passengers a year. The expansion project is worth RMB 270m (approximately $45m) and is being funded by the NDRC and the Civil Aviation Administration of China (CAAC). The project will involve conversion of the existing terminal into a warehouse, construction of a new terminal covering 4,000m², a new apron and repairs to the runway and apron surface. Kangding Airport is located in the Garze Tibetan Autonomous Prefecture, approximately 38km from Kangding, the capital of Sichuan Province. At 4,280m elevation above sea level, it is the world’s third highest-altitude commercial airport. The airport’s 4,000m long runway caters to medium sized passenger / cargo aircraft, such as the Airbus A319-100 and Boeing 737-700. The terminal at the airport serves about 330,000 passengers and 1,980t of cargo per year. The airport cuts down the journey time to Chengdu City by 35 minutes. It was constructed with an investment of one billion Yuan ($120m). Zhongnan Airports Construction Corporation was the main contractor. 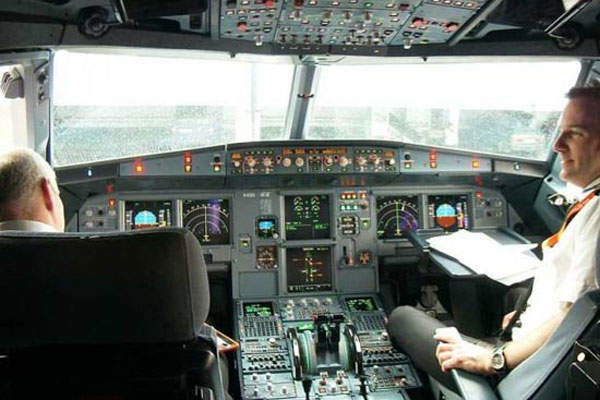 Commercial operations were started in October 2008. 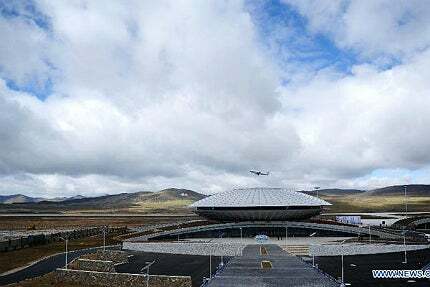 Ngari Gunsa Airport, also known as Ali Airport, is the fourth highest-altitude airport in the world. The dual-purpose military and civil airport serves the city of Shiquanhe in Ngari Prefecture, south-west of China’s Tibet Autonomous Region near the Indian border. The airport is situated at an elevation of 4,274m. The airport is expected to handle 120,000 passengers on a daily basis by 2020. It has a runway measuring 4,500m long. Construction works on the airport commenced in May 2007 and commissioning took place in July 2010. The first commercial flight to the airport was that of an A319 jetliner operated by Air China. The total investment made on the airport’s development was CNY1.65bn ($241.22m). 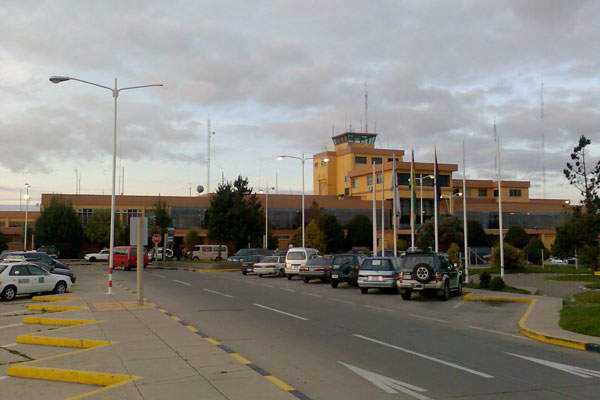 El Alto International Airport (Aeropuerto Internacional El Alto in Spanish; formerly John F. Kennedy Airport), is the fifth highest-altitude airport in the world. It is located in the city of El Alto, approximately 14km south-west of La Paz City. It is situated at an elevation of 4,061.5m. The airport has two runways measuring 4,000m (paved) and 2,050m (unpaved), and one terminal. Passenger facilities at the terminal include a bank, bars, restaurant and duty-free shops. Yushu Batang Airport, situated at an elevation of 3,890m, is the sixth highest-altitude airport in the world. The airport is located 18km south of Gyegu (Jyekundo) town and serves Yushu City in Qinghai Province. Construction of the airport started in 2007 and services were launched in May 2009. It has cut the travel time between Jiegu town of Yushu and Qinghai’s capital of Xining to just 70 minutes, which otherwise takes 15 hours. The airport served 7,484 passengers during the first year of its operation. Its terminal is expected to handle 80,000 passengers per annum starting from 2015. The 3,800m long runway at the airport is big enough to accommodate A319 aircraft. 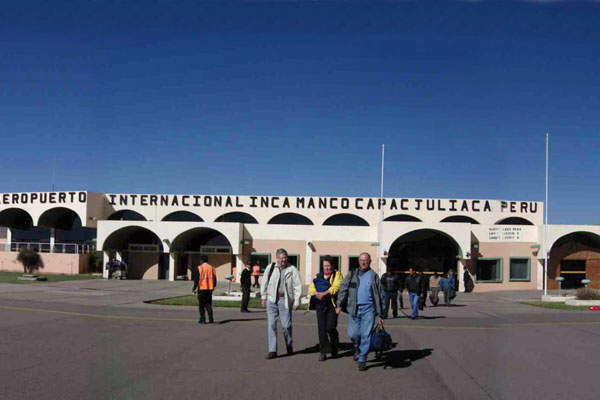 Inca Manco Cápac International Airport (Aeropuerto Internacional Inca Manco Cápac in Spanish) is located in the Puno Region, Province of San Román Juliaca, about five kilometers from the city of Juliaca. It is located at an elevation of 3,826m, standing as the seventh highest altitude airport in the world. The airport was opened in 1959 and is currently operated by Corporación Peruana de Aeropuertos y Aviación Comercial (CORPAC). It has a 4,200m long paved runway and a passenger terminal covering a floor area of 1,865m². The airport features 90 tolled vehicle parking spaces. The control tower is 25m high comprising of seven floors. The airport does not offer international flight connectivity at present. Shigatse Peace Airport, also known as Shigatse Air Base, is a military and civil airport located in Hongdang County, Shigatse Prefecture, in the Tibet Autonomous Region. It is 43km away from Shigatse City, the second largest city in Tibet. It is the eighth highest-altitude airport in the world, situated at an elevation of 3,782m. The airport was originally opened in 1973 for military use. Civil operations were started in October 2010, following a CNY532m ($88m) expansion project that was launched in April 2009. The airport has a runway measuring 5,000m and a terminal covering an area of 4,500m². It is expected to handle 230,000 passengers and 1,150t of cargo per annum by 2020. 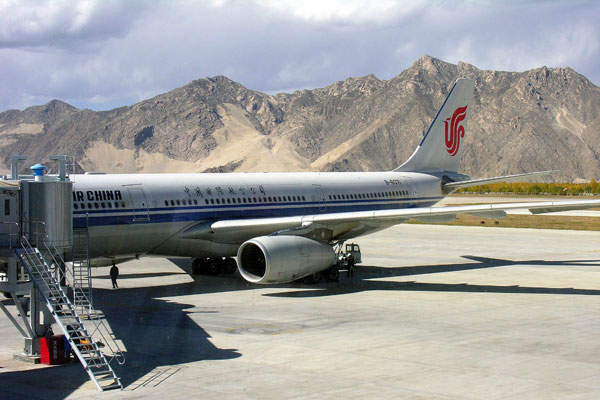 Lhasa Gonggar Airport, which serves the city of Lhasa, the capital city of the Tibet Autonomous Region, is located about 62km south-west of Lhasa, at the southern bank of the Yarlung Zangbo River in Gonggar County, Shannan Prefecture. At 3,570m elevation, it is the ninth highest-altitude airport in the world. The airport became operational in 1965. It serves as a major hub for Tibet Airlines and accommodates up to five A340 or seven Boeing 757 aircraft simultaneously. It features a two-storey passenger terminal, and two runways measuring 4,000m (Asphalt) and 3,600m (Concrete) in length. The second runway was constructed in 1994. The terminal facilities were upgraded in 2004. 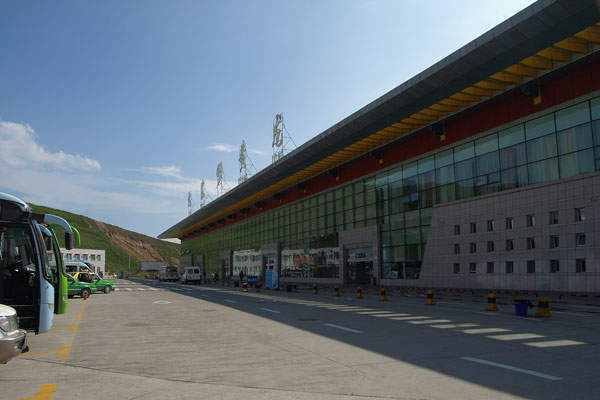 The first highway in Tibet named Lhasa / Gonggar airport highway forming part of National Highway 318 and connecting the airport was commissioned in July 2011. Jiuzhai Huanglong Airport is located two kilometres from Chuanzhusi Town, in Songpan County of Aba Prefecture, Sichuan Province. It is the world’s tenth highest altitude airport, at an elevation of 3,448m. Chengdu Shuangliu International Airport is located 240km from this airport. The Jiuzhai Huanglong airport serves about 800,000 passengers a year and is operated by Sichuan Jiuzhaihuanglong Airport Company. Passenger services were started in September 2003. The airport was expanded twice in 2006 and 2011. It currently features a single passenger terminal building covering an area of 17,000m², and a runway measuring 3,400m long. In the era of the mobile-centric passenger, does wearable technology represent the next step from smartphones and tablets? Airports in the United States are gearing up to cater for increasing passenger footfall as the country’s economy shows signs of recovery.